The Maintenance Managers identify the default staffing levels and record "exceptions", i.e. vacation or coverage. 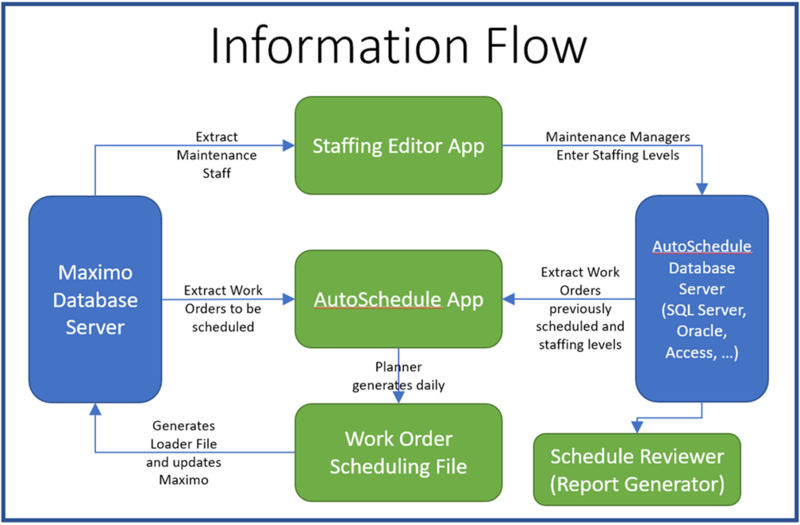 The Maximo names of each maintenance technician is extracted from Maximo.